Happy Monday! So I took a vote on Instagram Stories after getting to do a Target run while visiting in the ‘burbs if you all would like a Target haul and the results were a no brainer! Just like most people, I am OBSESSED with Target for 101 reasons and am always heading there when I can. 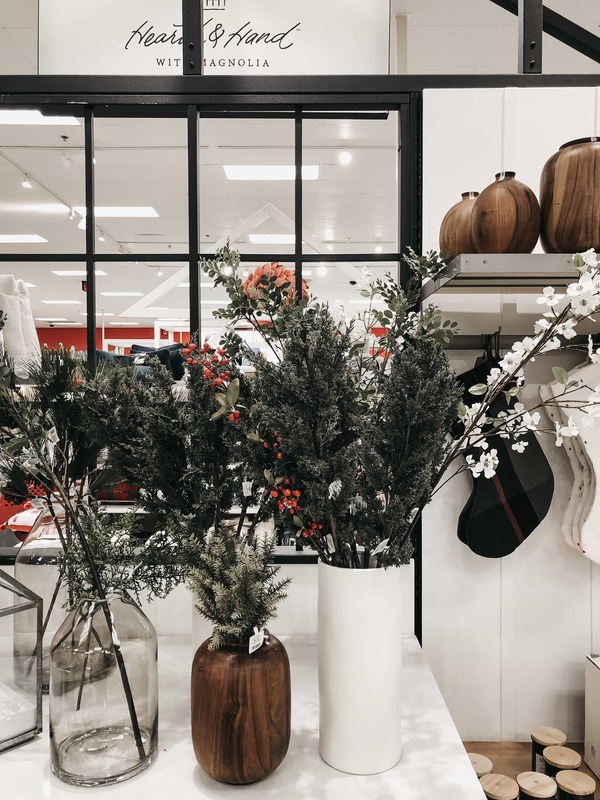 This time around some of the holiday decor was out as well as the coziest pj’s and lounge wear and I was blown away with the quality, especially after hearing from a bunch of you that own the pj’s and have worn and washed them a bunch. 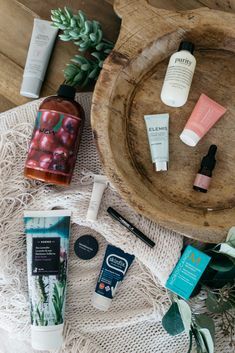 I have this haul saved as well on my Instagram Stories if you want to check things out in real life. I will list out sizing questions on the clothing below, but let me know if you have any additional in the comments or on my last IG photo and I will get back to you asap! Pajama Set (long sleeves + pants // short sleeves + shorts) – Literally the BEST find! These are identical to my Eberjey pajamas, but a fraction of the price. They are so soft and a bunch of you DM’d me and share how much you love them and how well they hold up even after a ton of washes. I am 5’5 and wearing a size small. 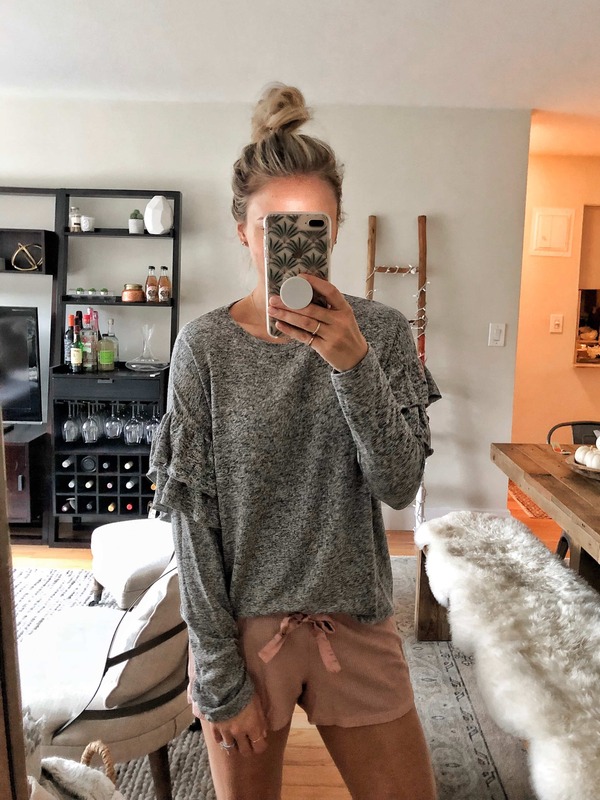 Cozy Lounge Shirt + Shorts – The absolute softest material! Perfect for lounging around the house or I would totally wear this set out to run a quick errand or walk Hads around the block. I am wearing a size small top and had to order the shorts online (size small) because they didn’t have my size in store. 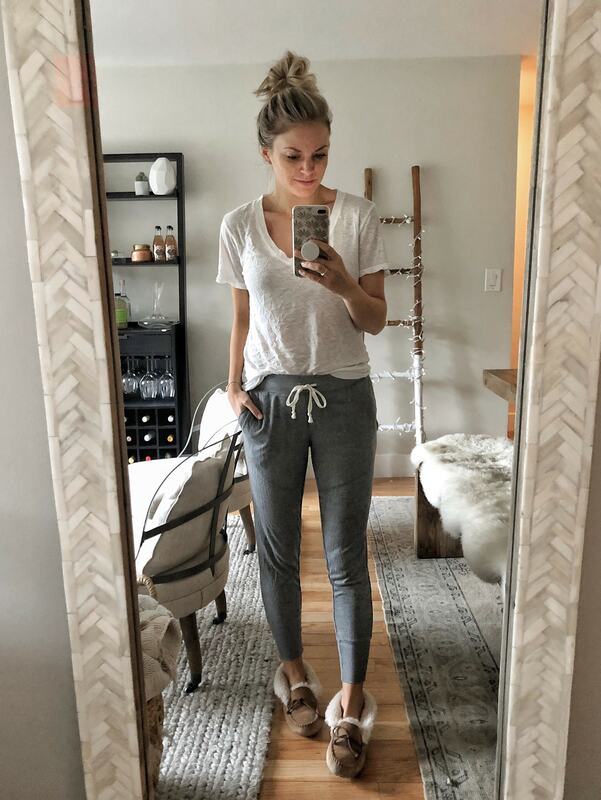 Thermal Joggers – These comfy pants come in 4 colors and I love them so much I just ordered the burgundy color online. I am wearing a size small, they are lightweight and perfect for a day lounging around the house! 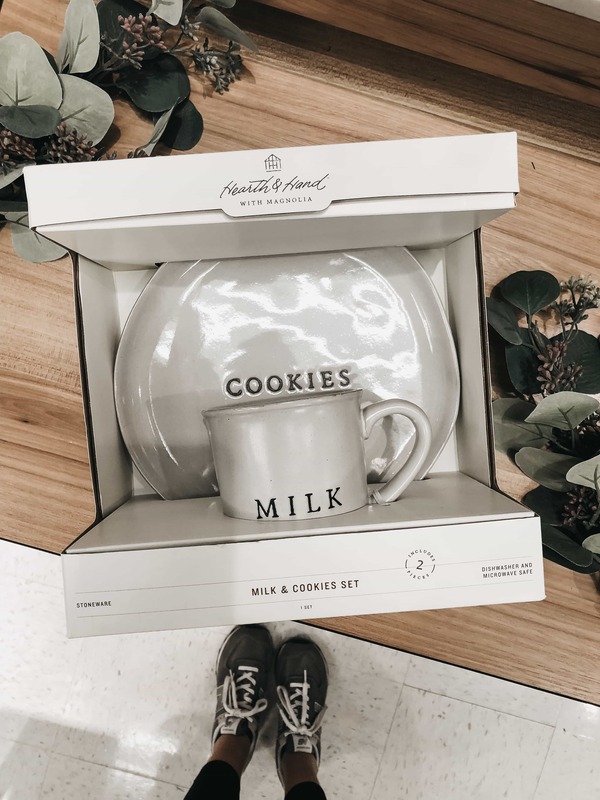 Cookies + Milk– The sleek look of this Cookies and Milk set for the holidays is what caught my eye. I always have fun decorating Christmas cookies so the simplicity of this plate allows your baking to shine! 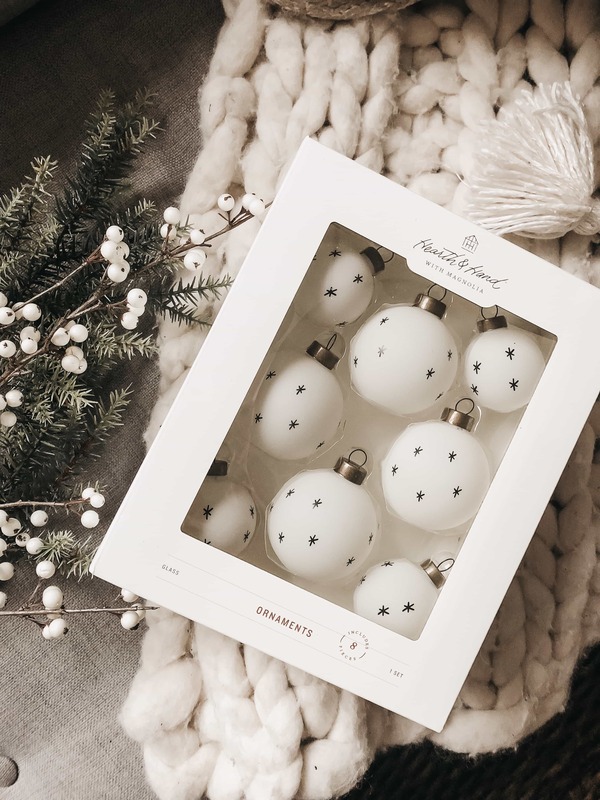 Ornaments – So simple and cute, I thought these were perfect to add throughout your Christmas tree or even in your table centerpiece with greenery and candles. Mini Christmas Trees – These are so fun to use in so many different ways. 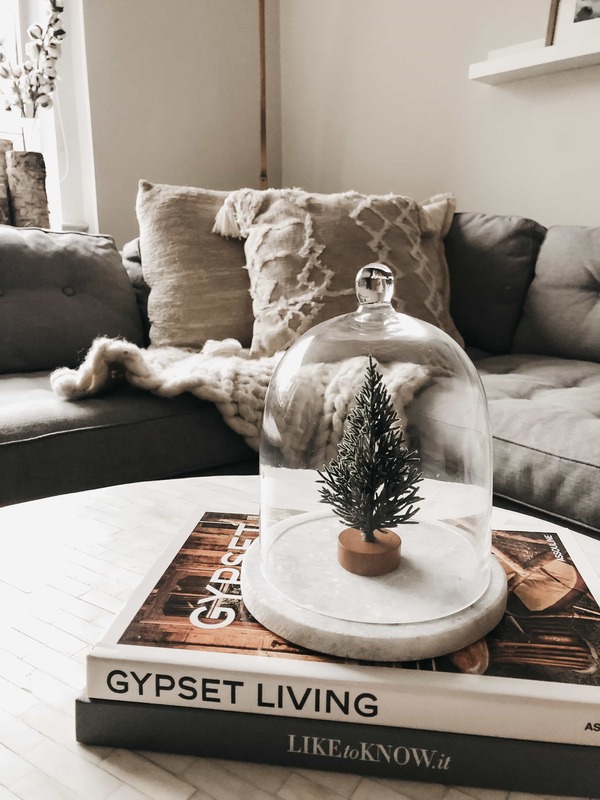 You can incorporate into your mantle, on your table scape or my favorite is how I styled below inside a cloche and placed on a stack of books on your coffee table. I picked up two sizes because I wasn’t sure which would fit in the glass and knew I could use the other one in some other way around our apartment. 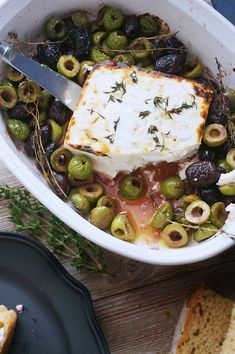 Greenery (White Berry Stem + Pine Needle Stem) – I love greenery and find it to be such a multi purpose item around the house. You can use a few stems in a pretty vase to set out or incorporate into a festive tablescape. Have fun mixing and matching the different stems and creating a look and feel that works for you. 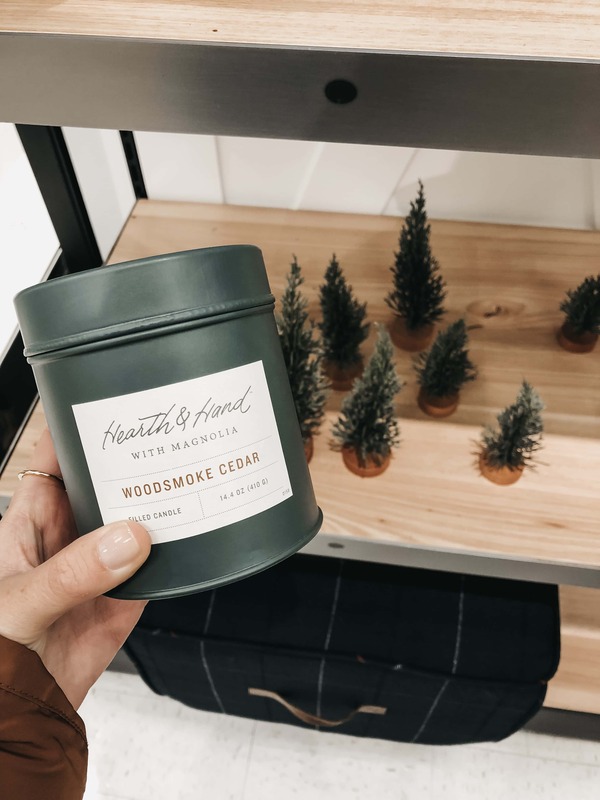 Woodsmoke Cedar Candle – You all know I love a good candle and this one smelled amazing. The perfect mix of wintery woods if that makes any sense haha.